Home to 138 different species and over 875 animals, Auckland Zoo has the largest collection of native and exotic animals in New Zealand. But even at a zoo, kids seek out physical fun and exhilaration! 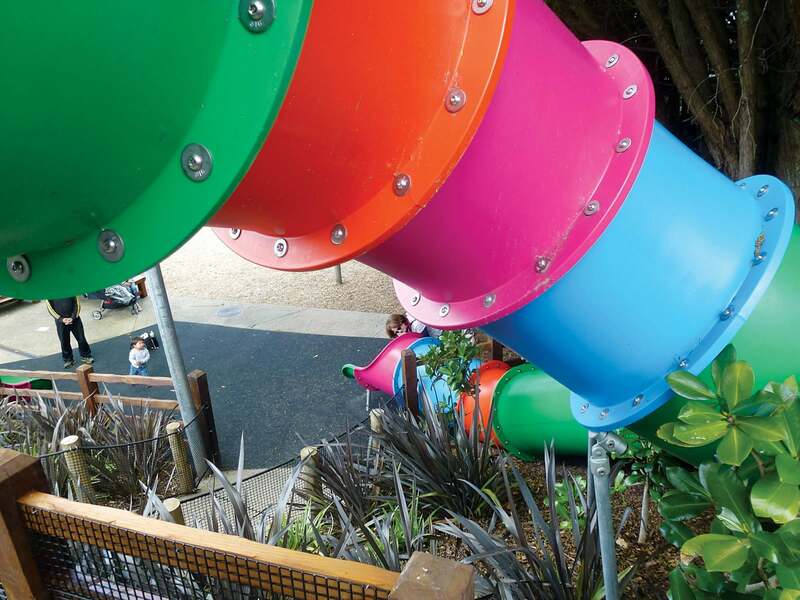 As part of its KidZone area, the zoo wanted to upgrade its “blue egg” slide as well as add a smaller version for younger kids. 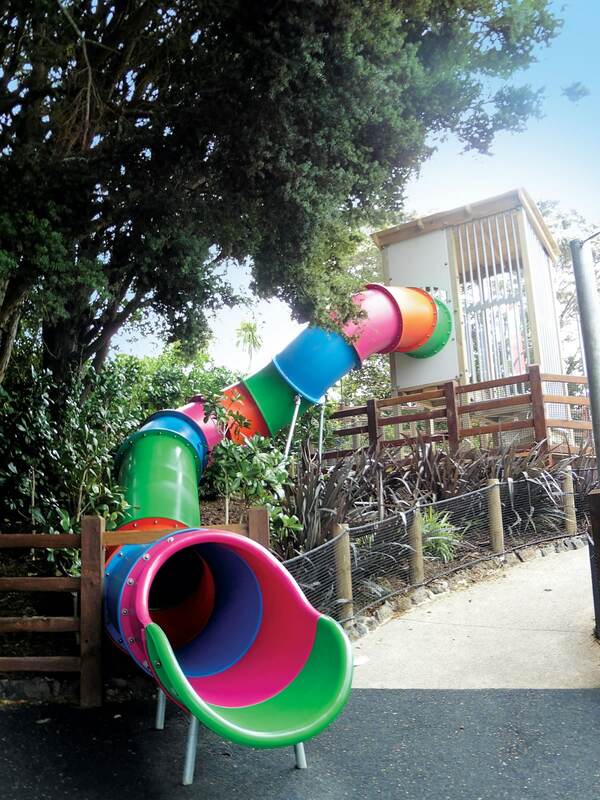 The Auckland Zoo is now home to more slithery creatures – huge technicolour slides! With the largest slide emerging from a huge pink ‘egg’, they’re a breathtaking sight and truly irresistible for kids. It’s impossible not to go back for more. 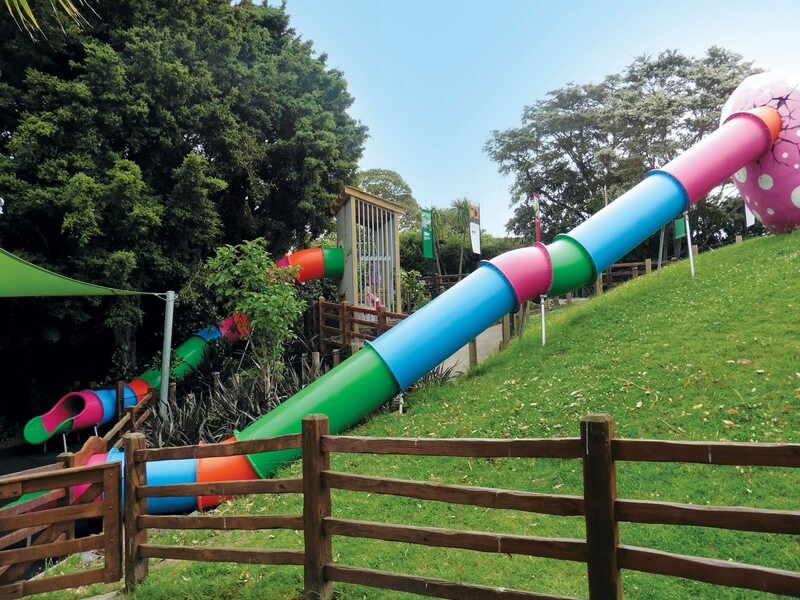 Adding a touch of ‘fantasy’ to the whole zoo experience, the custom designed tube slides and fort were designed using specialist slide software to make installation and compliance simple.